Hollow the right way. The stabilizer gives your tool extra support but still allows the control and finesse that you get by tucking the tool handle into your body and using your body to manipulate the tool. Use it as if you are hollowing by hand, but get the support of a captured type system. It is simple, easy to set up design which lets you move back and forth between tools easily. This new tool allows for smooth operation and the ability to enjoy the hollowing process without fighting with the tool or jig. 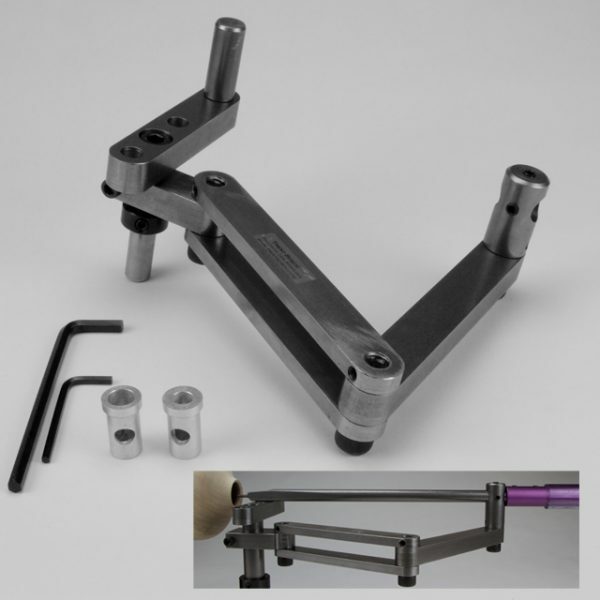 The 5/8″ stabilizer comes complete with tool rest, pin, and bushings to allow you to use 1/2″ and 3/8″ hollowing tools with the 5/8″ stabilizer. 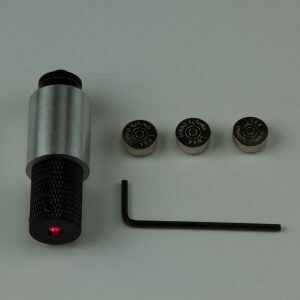 It also comes with a 5/32″ Super Allen Wrench. 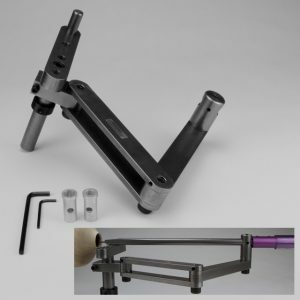 The 5/8″ Mini/Midi Stabilizer is suited for use with all mini and midi lathes with a 5/8″ tool rest post. 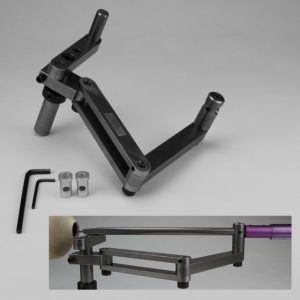 Clicking add to cart will add one 5/8″ Trent Bosch Hollowing Tool Stabilizer (note: please specify your lathe type in the “Add Comments About Your Order” section) This will allow us to include the proper tool rest post for your stabilizer.